A new logo and web shop for a really witty dog. 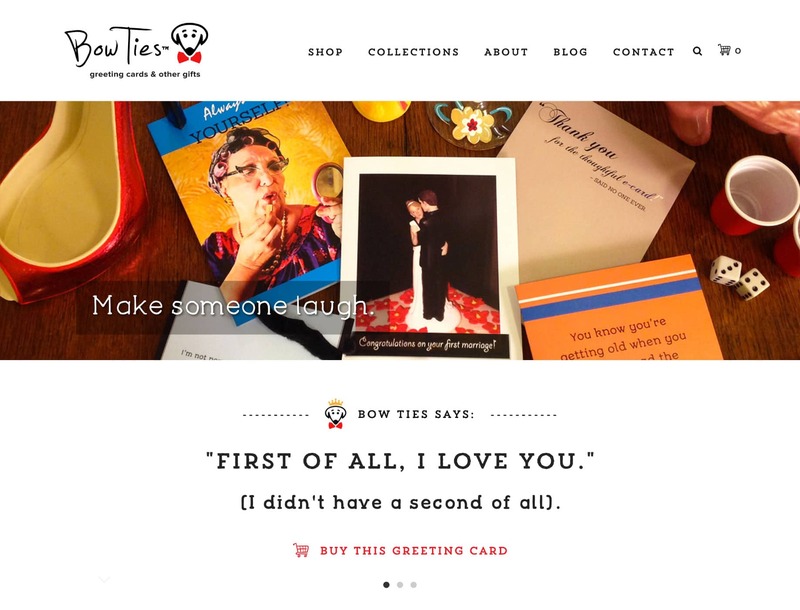 The originator and of this funny, irreverent and whimsical line of greeting cards (based out of Hope Artiste Village in Pawtucket, RI) needed a brand for his business that truly reflected the good-natured wittiness behind his card concepts. 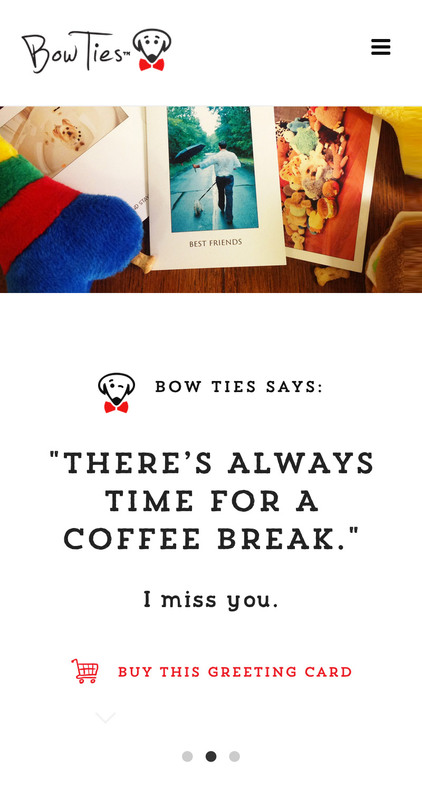 I developed a main brand for him along with three sub-brands, each of which represent the various BowTies card lines. 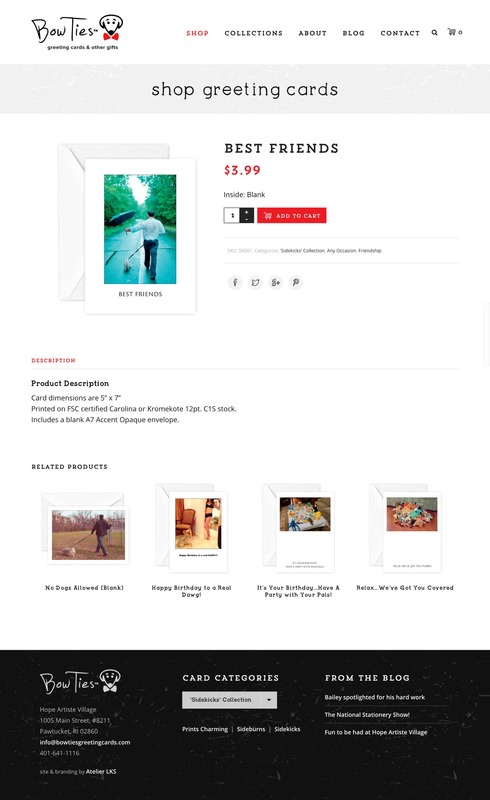 He also got a well-styled website and a web shop for his cards and gifts. 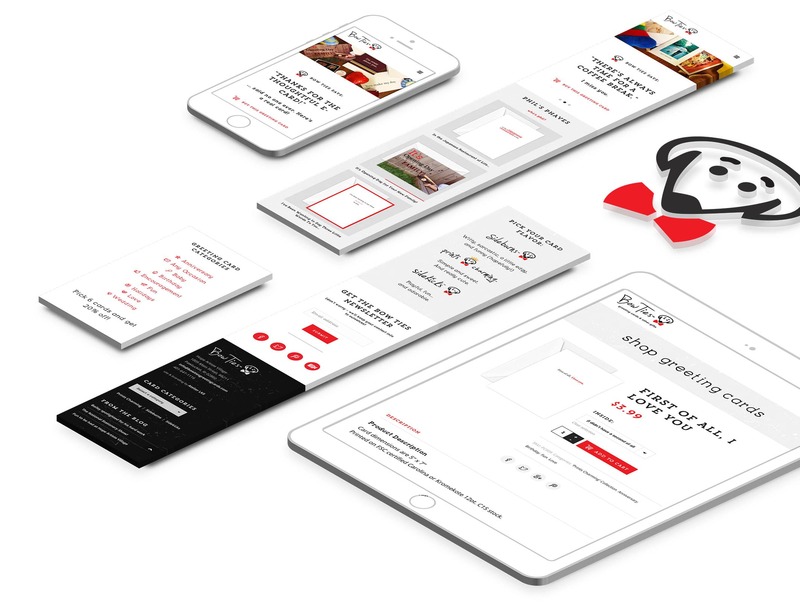 The BowTies site is screen responsive, and the site theme was custom designed with an easy-to-update WordPress backend and ecommerce shop setup.